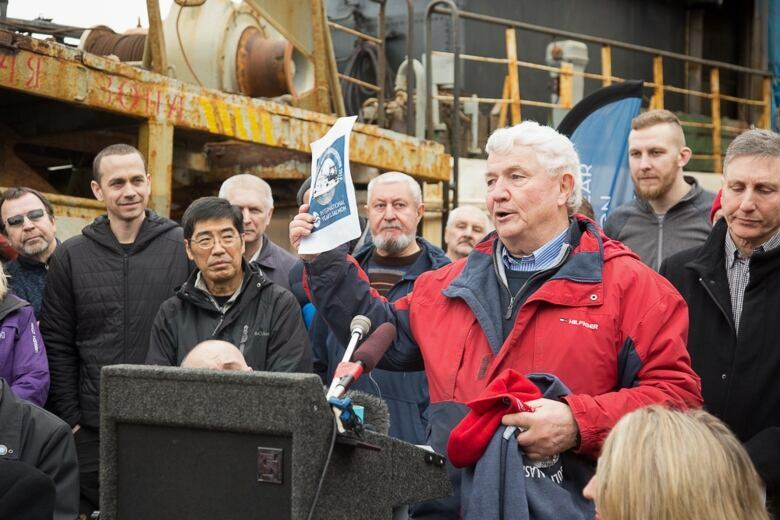 An international team of scientists left Vancouver on the weekend for a research expedition to the Gulf of Alaska where they will conduct the first comprehensive study of Pacific salmon in the region. An international team of scientists left from Vancouver over the weekend for a research expedition to the Gulf of Alaska where they will conduct the first comprehensive study of Pacific salmon in the region. 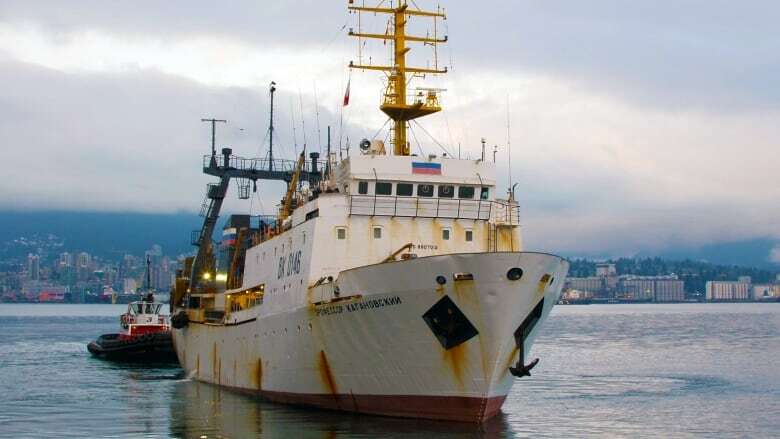 On their month-long journey aboard the Russian research trawler Professor Kaganovsky, the team will trawl for salmon, conduct DNA testing to identify where the fish hatched and use the data to estimate the abundance of various species. "The discoveries that will be made will lead to an understanding of how to be responsible stewards of Pacific salmon in a future of changing ocean ecosystems," said Richard Beamish, the expedition organizer and a scientist emeritus with the Pacific Biological Station in Nanaimo, B.C., run by Fisheries and Oceans Canada. The Gulf of Alaska is a feeding ground where the majority of Pacific salmon migrate to in the winter, according to a provincial government news release. The 21 researchers hail from five salmon-producing countries in the Pacific Rim — Canada, South Korea, Japan, Russia and the U.S. The expedition is in collaboration with the Year of the Salmon, a five-year initiative spanning the Northen Hemisphere to raise awareness and improve understanding of salmon conservation. "The future of salmon in this time of rapid change will depend on our ability to find solutions through broad collaboration at local and hemispheric scales," said Mark Saunders, director of the International Year of the Salmon – Pacific Region. The data generated by the study will be shared among researchers and managed by the University of British Columbia. Organizers hope the study will provide a better understanding of salmon survival at sea, as well as forecasting salmon returns. Minister of Fisheries and Oceans Jonathan WIlkinson and B.C. Minister of Agriculture Lana Popham attended the launch event held on the deck of the research vessel on Saturday afternoon at Ballantyne Pier. "Wild salmon are crucial to the success of B.C. 's economy, the prosperity of coastal communities and the lives, culture and history of Indigenous peoples," said Popham. "This study will provide us with crucial information as we continue to support this important resource for British Columbia." The project is funded through $1.3 million in donations from government departments, non-governmental organizations, industry — including the B.C. Salmon Farmers Association — and private donations, Saunders said. Of that amount, Fisheries and Oceans Canada contributed $250,000 and the expertise of two DFO research scientists, the federal government said. The B.C. government chipped in $75,000 to assist with data analysis and management, shipping of equipment and sales and, and modifications to the research ship.